Another great running machine from one of the world's best-known brands in home fitness equipment, the NordicTrack C320i treadmill continues the great tradition of the C series. With a 2.75hp continuous duty drive motor that propels the running belt up to 20kph (12.4mph) and an incline setting of up to 12 % this running machine is designed to go the distance. If you're a beginner just getting into fitness, or seasoned enthusiast the C320i will ensure that you're kept motivated and challenged. The 51cm x 152cm (20” x 60”) running area provides a comfortable, safe platform for runners of all sizes while the FlexSelect™ cushioning system allows experienced road runners to set a nice firm surface while those with sore joints can ensure they get one of the softest landings available out there on a treadmill. With 24 preset workouts, heart rate control and target based training sessions, you can work out how you want and get the most out of your fitness programme. The C320i is also compatible with iFit Live (module sold separately,) opening the door to a whole world of additional training possibilities, including mapping out your own custom running routes on Google maps and downloading training courses designed by professional personal trainers. The addition of speakers and music player/smartphone audio input lets you listen to your favourite tracks as you work up a sweat while the built-in cooling fan helps to keep you from overheating so you can keep going for longer. 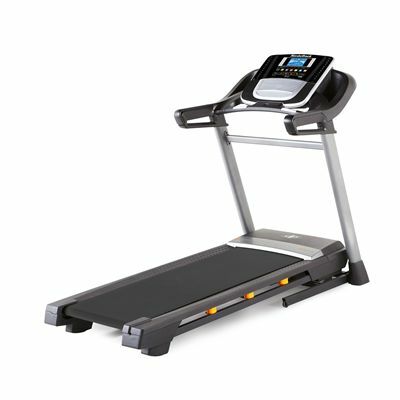 The C320i is another in a long line of high-quality treadmills from NordicTrack and is perfectly suited for all types of runners. We chose this treadmill because of the motor size and the fact it had iFit compatibility. So far I'm happy enough but the ifit live is more involved than I thought it would be. Clearly has a lot of functions but it's going to take me some time to get my head around all of them. I use it mainly on the weight loss programs though I do use the cardio program now and again. Make sure you've got another person to help you putting it together or you'll struggle! Having run on this for a week or so now I think this is a really impressive treadmill for the price. Tons of features and functions and what I've found to be a slightly different but very user friendly console. I use it every other night for about 30 minutes and am using this to keep my fitness levels topped up over the winter as I admit I don't really like the idea of running in the dark and the wet. It was delivered within a few days and I found it straightforward, albeit a bit long winded to put together. Still it's nothing I'd mark it down for as the instructions are really clear. All in all a really nice treadmill that I think is very good value. 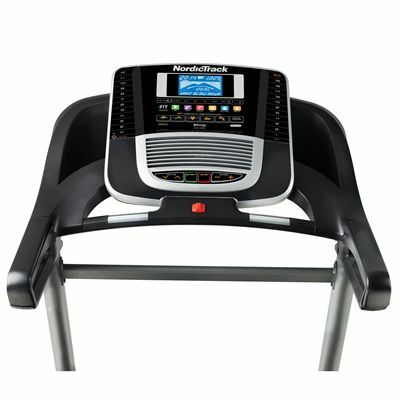 for submitting product review about NordicTrack C320i Treadmill.